Star Wars stationery from Bic. I love this and prices start at £2. Great for encouraging youngsters to write - and they can even start with thank you letters. 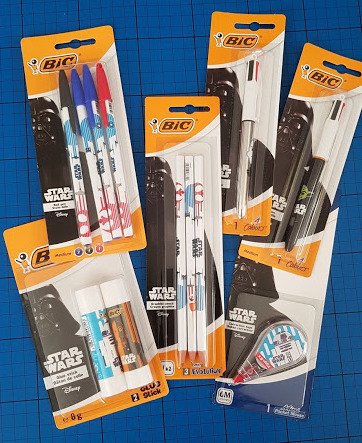 Bic also have stationery that doesn't feature Star Wars. I've a huge bundle giveaway running until 10th December. Gooey Stuff. Gooey sticky yucky stuff is the height of fashion at the moment and kids adore it. 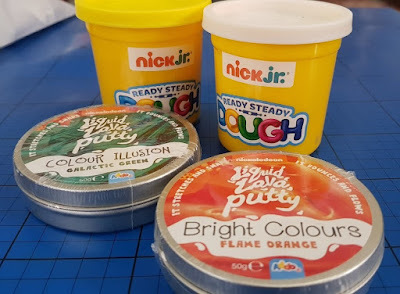 If you haven't experienced Liquid Lava Putty (£5 The Entertainer) you are missing out - it is amazing to watch and play with. If you are less brave, stick to dough. Nick Jr Ready Steady Dough is only £2 for 4 pots at The Entertainer. Roblox are great poseable blind bag figures that are excellent stockingfillers for kids who like gaming. 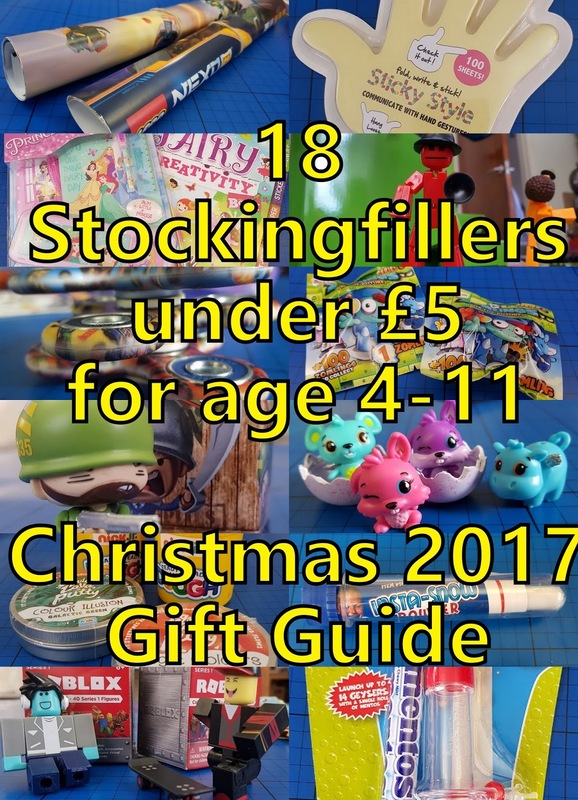 Suitable for age 6+, the prices start at £3.99 for a blind box figure and accessory, and there are sets available. My kids have tons of these now, they're very popular. 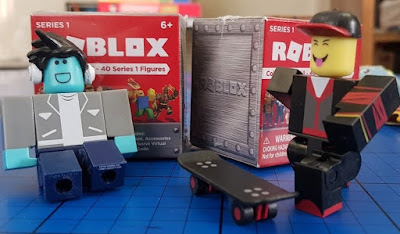 My Roblox Toys review is here. Fidget Toys. Love them or hate them, they make a lot of children very happy and can have a therapeutic effect. My 7 year old adores them. 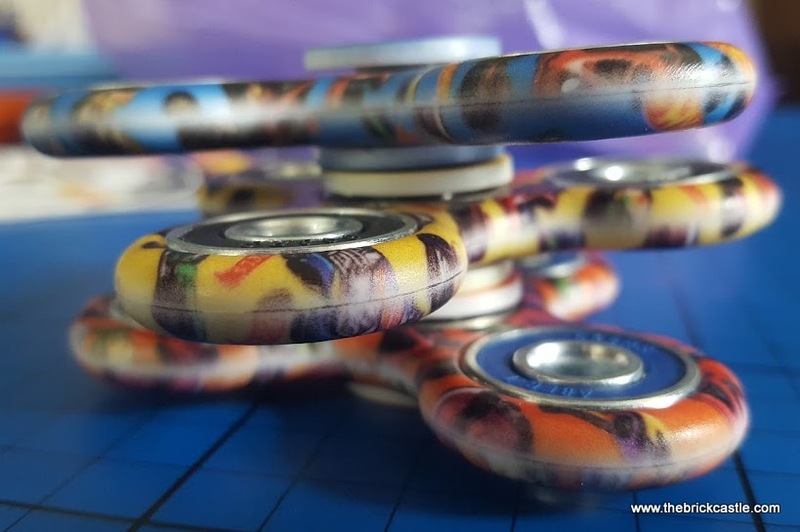 Hot Wheels Fidget Spinnerz £4.99rrp, but currently reduced to £2.50. The Klixx from Zing is £3.99. I've a Zing Fidget Toys Big Bundle Giveaway running until 10th December. Awesome Little Green Men. These are war-themed, which will put some people off, but the game is a classic tabletop game which is familiar to old school penny-shovers or fans of Subbuteo. Suitable for age 6+, a blind box figure is £3.99 and there are sets available. 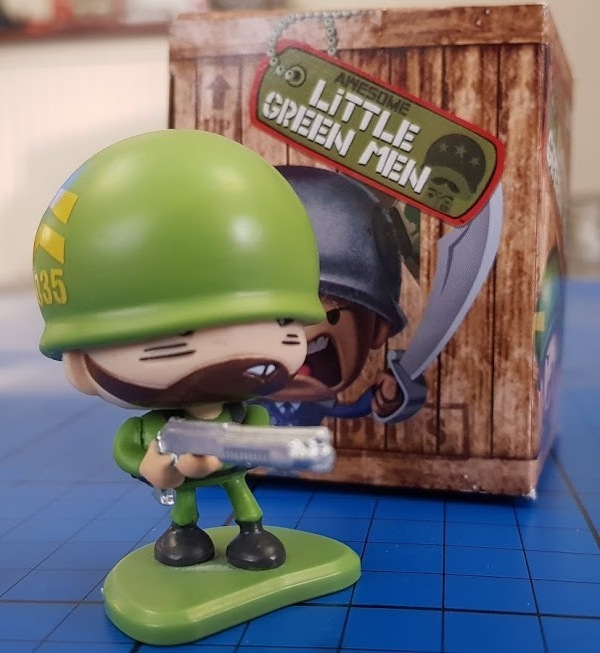 My Awesome Little Green Men giveaway is live until December 3rd. Geyser Tube. This one is a bit exciting, make sure your child understands the serious nature of this Scientific experiment. We once had a 125 mile journey with a sopping wet and sticky 8 year old who tried this at a motorway services... An excellent delivery system for an explosive experiment. 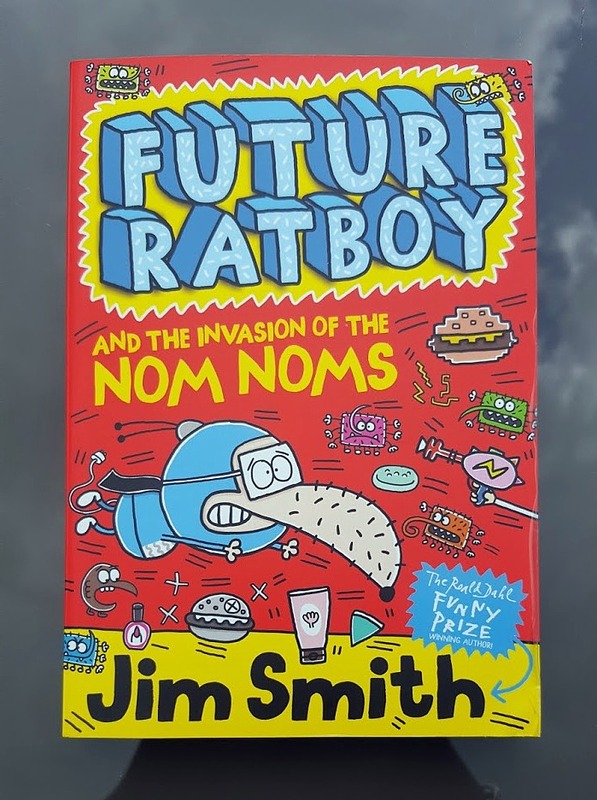 Currently over the fiver at £5.99 on Amazon. 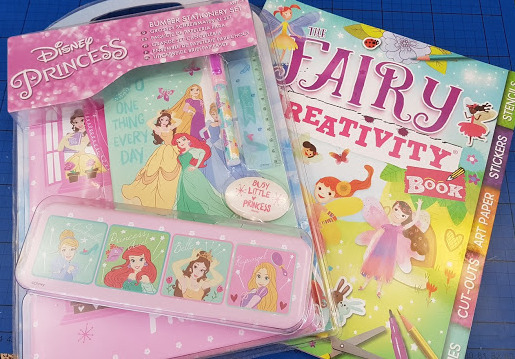 Activity Books.It may seem a bit of a safe option, but most children do really enjoy activity books and they come in all sizes, shapes and ages. This Fairy Activity Book is from a Carlton Books review earlier this year. Okay, so both of these have a higher rrp, but I was able to find them for a fiver today. Post It Notes. Kids LOVE post it notes. Brilliant for older ones who need to keep notes, and expecially fantastic for younger children who are early writers to encourage them to practise. Available in just about any shape or size and very inexpensive. Zomlings. 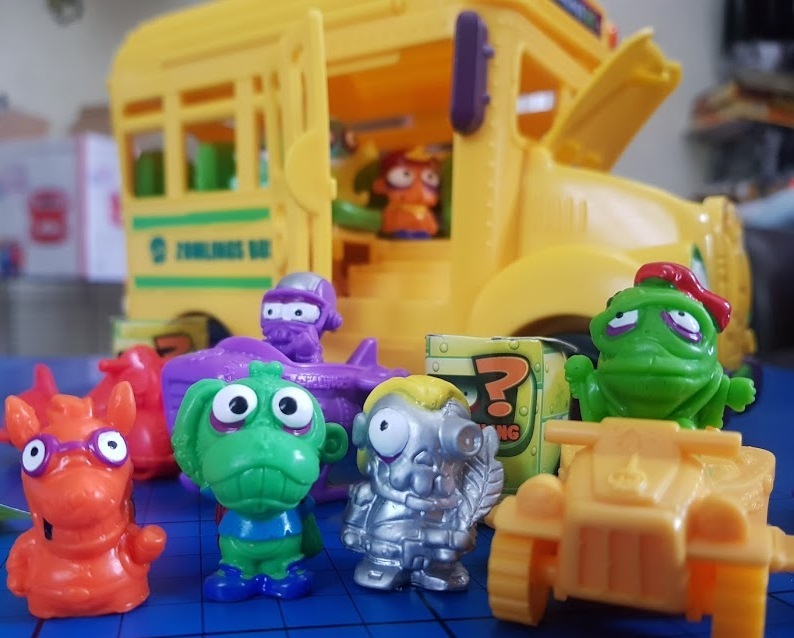 Suitable strictly for age 3+ and starting at only 50p for a blind bag figure and £1.50 for a blind bag figure and vehicle, these are simple little tactile rubber characters and my 7 year old loves them all. 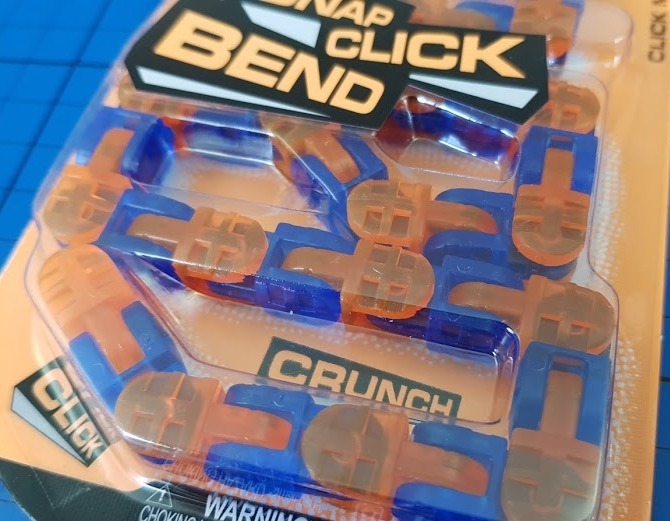 Great for fidgets and lovers of small worlds. We reviewed Zomlings last month. Top Trumps. Who can resist a swift game of 'mine's the biggest/fastest/most magical'? 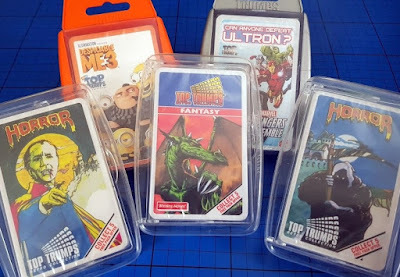 Still going strong and still only £4.99 a pack, Top Trumps are the portable card game anyone can play and the range is massive! We reviewed a few retro Top Trumps sets last month. 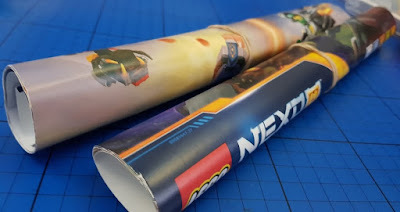 Posters and wall stickers make great gifts for children and young people of any age - it allows them to make their space their own - but it has to be something they actually like. If a teenager asks for music, you can usually be safe with an accompanying poster. Clever Stationery. No more does anything have to be boring and it isn't just physical appearance - there are some clever products out there. .Snopake and Swordfish make sprung pencil sharpeners that really do catch all the sharpenings and coloured glue sticks which dry clear - so children can see where they are when they're working. Stikbots are available for a fiver, as are their pets. They are great fun little posable characters. Ideal for children who are interested in animation or making videos. Suitable for age 4+, the prices start at £4 and there are sets available. 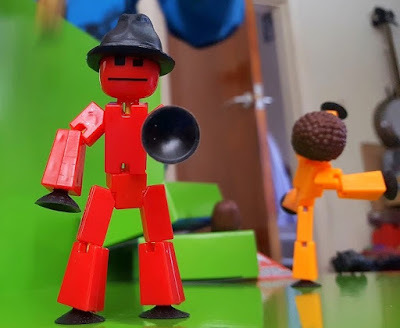 My Stikbot Zanimation Studio review is here. 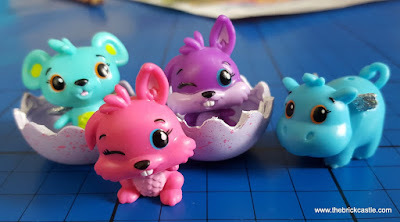 Hatchimals CollEGGtibles are another blind bag toy, but with these the packaging is half the fun. Hatch your pet and see which animal family it belongs to. These are actually really cute and very well made. £1.99 single blind bag, £4.99 double bag with nest and sets are available. We reviewed Hatchimals CollEGGtibles earlier this year. 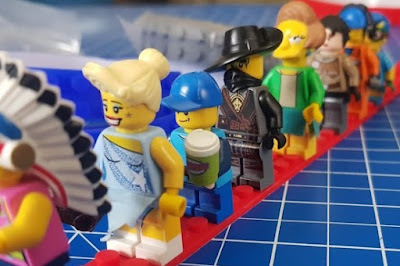 LEGO Minifigures. I couldn't finish without adding these. They're a staple in our house, every stocking has one. Blind bags are £2.99 and the current release is the special Ninjago Movie Figures. I was sent nothing specifically for this gift guide. I chose to include every item here because we like them. The Amazon link is an affiliate link, so I get a few pence each time someone orders through me, but they don't pay any more! You chose some good ideas, Geyser Tubes! I love anything like that. I've never heard of insta-snow that sounds interesting so I will look for some, & the coloured glue idea. Top Trumps were the bane of our lives for the last 20 years, as soon as the eldest grew out of them the youngest started, haha. Post its are a top tip. All of mine love them and would be delighted to find them in their stockings. Hohoho my favourite is lego mini figures, my son is mad on lego and is always building something new. Our little one would love Geyser Tube, Hohoho. Ho Ho Ho. Got to be the Lego minifigures. My son has his eye on some of the earlier minifigures on ebay so a few will be finding their way into his stocking I am sure! Some fantastic ideas here :) Think we will be using a few of these, particularly the activity books - Little I is obsessed now. Hohoho! The roblox figures are amazing. I didn't even know you could get them. My little ones obsessed with roblox lol. My favourite are the books, love reading with my son. Hohoho. Lots of ideas, thanks for the list! My daughter loves her top trumps cards! always activity books! ho ho ho! HoHoHo, if that is what makes you happy! Ho Ho Ho! Merry christmas, these are all fab! I love that Insta Snow.....HOHOHO! What a great list. 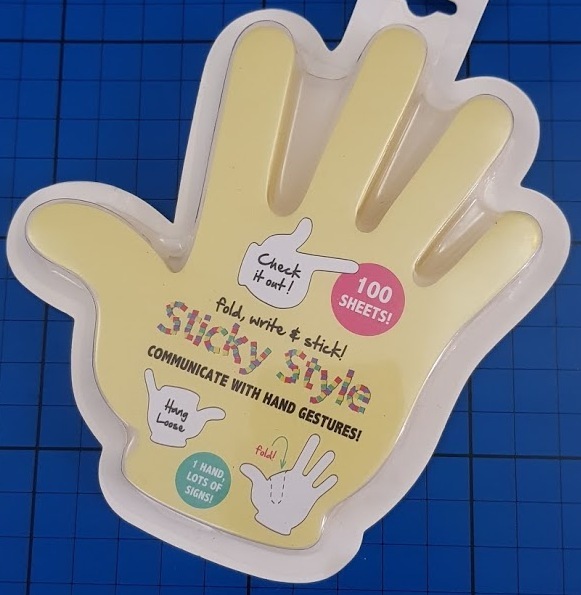 I like the fun hand stickies. Hohoho! "Hohoho" so I know where you came from, and because it makes me smile to think of you typing Hohoho. What a brilliant selecetion Hohoho, I nearly had too many ho's! 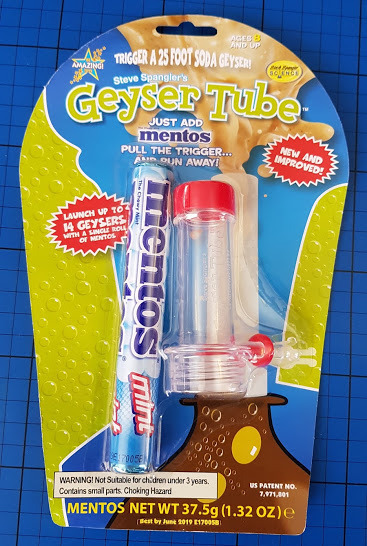 I like the look of the Geyser Tube! Hohoho! My nephew loves Roblox so he'd be interested in that the most. Hohoho! Lots of great ideas here. My daughter always loved stationery and activity books, and my son loved anything Lego. 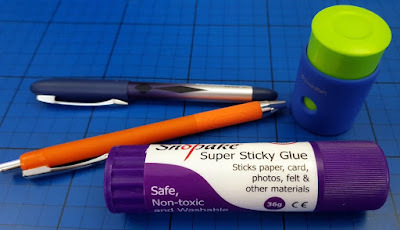 My granddaughter loves any craft that involves glue so the coloured glue sticks would be great for her as then she can see more easily where she has placed the glue. Nice suggestions here. I like the Zomlings and Ready Steady Dough Hohoho! I love your ideas. I really want to get some liquid putty as it looks amazing. The Lego mini figures would be a hit with my Grandson Ho ho ho!